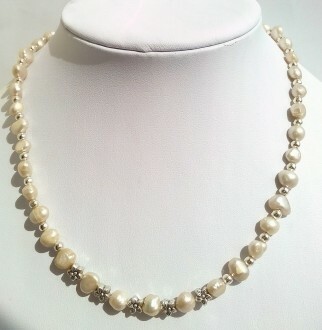 Ivory freshwater pearls,silver tone spacers and flowers. Silver plated trigger clasp. Length approx 18"